As the racing season comes to an end for most, there is always the question on how to go forward with training into the holidays and what some call the off season. My personal view is for most age groupers, there should not be an off season- a period of time where no consistent training takes place. I think it is much more optimal to spend time resting and recovering, but keeping the “key in the ignition”. I like to call this the “after race season”. This means a lighter training load that is more focused on form, always working on consistency. During this time athletes should shift the emphasis to more technique based training, as well as cranking down the structure a little with how we do our sessions. With the load of training during race season comes a dramatic ratcheting down in our strength training. So after the season is the optimal time to re-engage in our strength program. I like to start out with a phase of work that begins with two strength sessions per week and add in a third as I progress deeper into the winter. The after race season is the perfect time to spend more time during the week towards swimming. The sessions should be shorter in duration and the intense efforts should be very short and controlled. Your emphasis should be on form. Getting in the pool at least 4 times per week and letting that training take a front seat is great for allowing the body to recover from all the run and bike training that took place during the season. It is a fact that if you want to improve your swimming, frequency and consistency in the pool is critical. 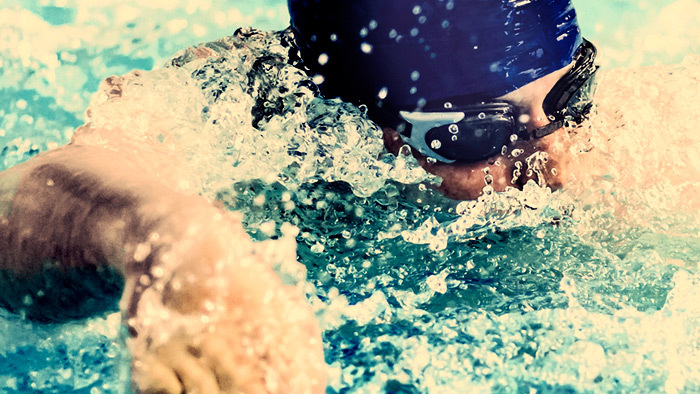 It is not as important this time of year to focus on yards swam- just swim often. I like to take this time of year and really plant the seed for next year by removing much of the structure. You should continue to ride 3-4 days per week, but the rides are shorter and more variable in how it is done. This is the perfect time of year to break out the mountain or road bike and get back to riding with your friends on the trails. I also think that the social coffee rides on Saturday mornings with your crew are wonderful for morale and keep everything switched on, yet aren’t taxing. No need to worry about watts or heart rate- just ride your bike with your friends and enjoy doing it. After a good after race season period of riding we will have plenty of time to start working strength to set the table for next year’s race season. With running, I like to back off the running by as much as 50 percent. You can certainly do with 3-4 short and enjoyable runs per week and do everything you need to do to be ready for the winter build in a couple of months. Trail runs with your dog, as well as running with no watch or gadgets is perfect for this time of year. No runs over 75 minutes are required or desired. This is not to say that fun stuff like a Turkey Trot 5k with friends and family, helping a friend run their first 10k, or other fun stuff is not appropriate. This is exactly the kind of things that can make this time of year fun and productive for us. It is also a great way to get out and do things with those in your circle that might not be as serious of an athlete as you and you get the opportunity to connect with those folks through sport. As I wrote earlier, this is the time to heal, recharge and remember why we love to train. With running, many are wired to train for a marathon during the winter months. Running marathons and doing the run in a triathlon are two completely different sports requiring two completely different skill sets. For most, I recommend that you not attempt a marathon. I believe that it does not help your triathlon run that much and robs you of that time we all need after triathlon season to re-charge and re-set for the next season. There is so much productive work you can do during this phase of the year that will reap benefits for next year. I hope no one misses the opportunity to embrace the couple of months after race season. It is a period where you can shift your focus back onto some other things in your life without pulling that metaphoric “key out of the ignition”. It is, most importantly, that time where you can just enjoy your training and the process of moving your body doing what we love to do. If you take the time to shift your training more toward swimming, lifting and ride more for fun, while running less and in an unstructured manner, I think you will find you will prime the pump for a very productive early season build once the new year is upon us. Scott is the Head Coach and Founder of IMJ Coaching and Consulting. Scott and his wife Teresa Rider are based in Boulder, Colorado. Scott is a 14-time Ironman finisher with 7 Kona finishes including 2 military titles (2006 and 2009). Scott has gone sub 9:50 four times in Kona.' In 2010, Scott won his age group at Ironman Canada and in 2006 PR'd in Kona with a 9:38 (1st Military Division). In 2006, Scott was a member of the US National Military Team and a member of the Gold Medal Senior Elite Team in Satenas, Sweden. Scott and his wife Teresa (a two time Age Group World Champion in Kona) conduct clinics and camps throughout the United States.